Posts Tagged "NAHA 2018 Finalist"
Home » Posts Tagged "NAHA 2018 Finalist"
This crimped hair fantasy with a lot going on is strictly for the avant-garde. 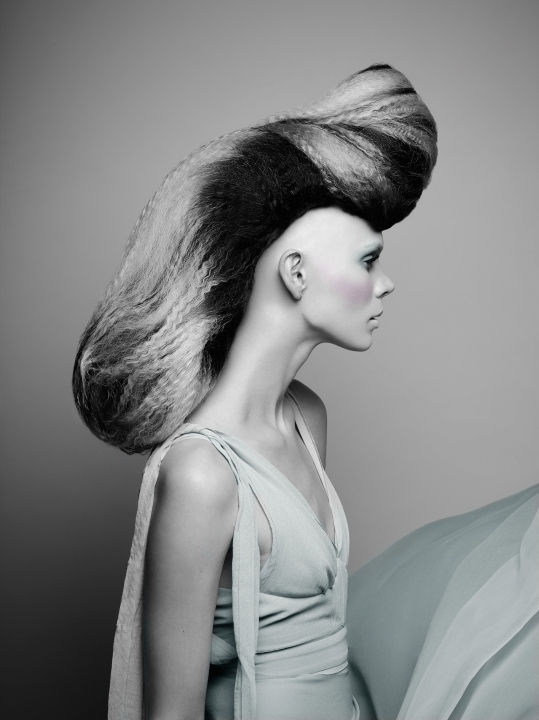 It rises up to there and out to there with a mix of textures and hairdressing skills using extensions and a bald cap to simulate shaved sides. The fan fantasy is one of three cool looks by Jamal Edmonds, Salon Lamaj, who is a Finalist in the Texture Category for NAHA 2018. Winners to be announced July 29 in Las Vegas.